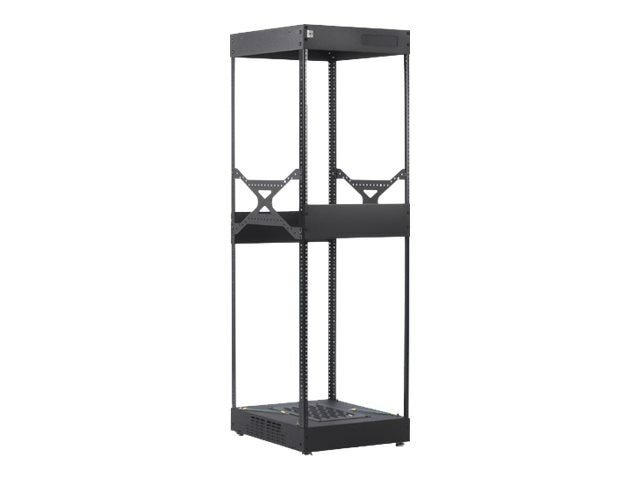 The easiest-to-assemble knock down AV rack! The S1 was engineered with rack rails that are self-supported during assembly allowing one person to easily build the rack in less than five minutes. Two removable 3U blanks on top and one vent on bottom for ventilation options. It includes floor levelers.